The old-fashioned road interests are at it again and the Lord Mayor of Copenhagen Frank Jensen, among others, are pandering to them. The insanity continues in The New Copenhagen. Now they want to build a tunnel for cars and trucks to connect the motorways that come from the north of Copenhagen and end in an area called Ryparken/Hans Knuds Square, to the motorway that connects the West of Zealand (the island on which Copenhagen is located) and the bridge to Sweden. This motorway also accesses the Copenhagen airport. What is interesting is the development that this will no longer be called the "harbour tunnel", but will instead be called the "Eastern Bypass" - but that's just so that it can recieve funding from the national government. This will, however, mean that the tunnel may have to have more interchanges on its route than a pure bypass road would have, especially as it is being proposed as a "Public-Private Partnership", the investors in which will be wanting as much return on their money. This idea goes contrary to decades of Copenhagen City Planning as well as the City's declared goal of reducing car traffic in the city. On that note, we publish a rational and intelligent contrary opinion. From the good people at the Rådet for Bæredygtig Trafik. An open letter to the City of Copenhagen and the Danish Ministry of Transport on the occasion of press reports evaluating a harbour tunnel. We say "No" to a harbour tunnel / "Eastern bypass" in Copenhagen. This will be a road connection costing at least 27 Billion Danish Kroner (US$4.6 Billion/ €3.6 billion), which can justifiably be called a "Whiskey-belt" (Copenhagen slang for the wealthy coastal suburbs to the north of the city center-Ed.) Tunnel because it primarily will only make it easier to drive to Copenhagen from the northern suburbs. Copenhagen has a relative good environmental situation due to the fact that there has never been such an additional access road or motorway. For the same 27 Billion Kroner, the city could instead construct a first-class system of light rail totaling almost 140 kilometers (92 miles) in length and further create ideal conditions for cycling. This would be for the benefit of all citizens and the environment; not just motorists from the well-to-do suburbs. For decades, various road-lobby interests have fought for a harbour tunnel. Where might the cars which would use a harbor tunnel come from? 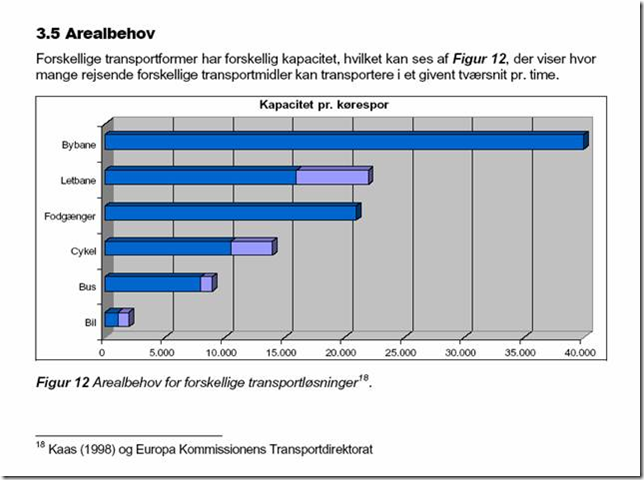 A report entitled "Eastern harbour tunnel in Copenhagen" issued by the Ministry of Transport in 1995, concluded that 40% of traffic in a harbour tunnel would come from the municipalities of Gentofte, Lyngby Taarbaek and Søllerød, (of which Gentofte's share was predicted to be 25%). There can be little doubt that any motivation to leave the car at home in these wealthy municipalities might vanish if you build a harbour tunnel. Such a tunnel would undermine all good intentions of a better environment because it would itself become a traffic generator that will make it extremely attractive to use private cars over other modes of transport. 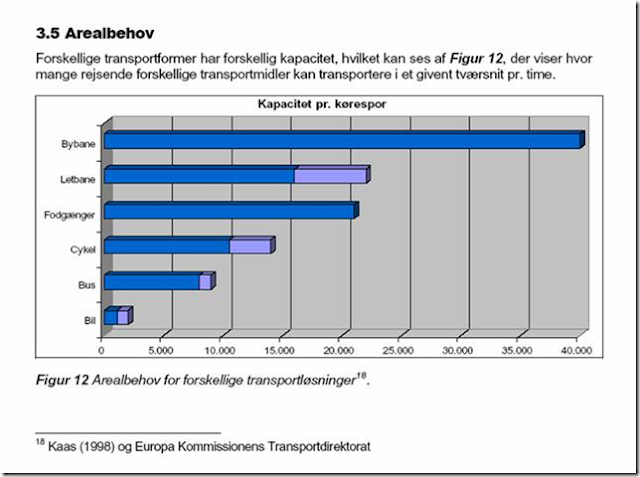 In 2000, the Copenhagen City Council concluded that a harbour tunnel will create more problems than it would solve. And, since then, no other information has arisen that would alter this conclusion. Other cities envy Copenhagen for this. "The very fact that we do not have the roads clogged with motorized traffic and an eastern bypass around Copenhagen, has been crucial to the over all, relatively favorable traffic situation that characterizes Copenhagen and the center of the city,; which manyany other European cities envy today. The city has been made to evolve in a 150 degree semi-circle, and this has been the basis for a sensible settlement of the city." Peter Hartoft-Nielsen also points out that policy-makers must choose between car traffic and public transport. If one wants environmentally friendly development, one should not simultaneously undermine such an environment with destructive actions such as a harbour tunnel and eastern bypass. Instead rely on vehicles that are not abusing space in cities. As shown in this chart of Capacity per Traffic Lane, private cars are the least capable means of transport when one looks at environmentally friendly use of city land. We at Copenhagenize encourage Copenhagen municipality to maintain the position that a harbour tunnel creates more problems than it solves. It is an obscene, disgusting amount of money to spend on something that has been proven to be useless and that will create more traffic in Copenhagen. Rationality is the new black. Catering to automobile culture is last century.